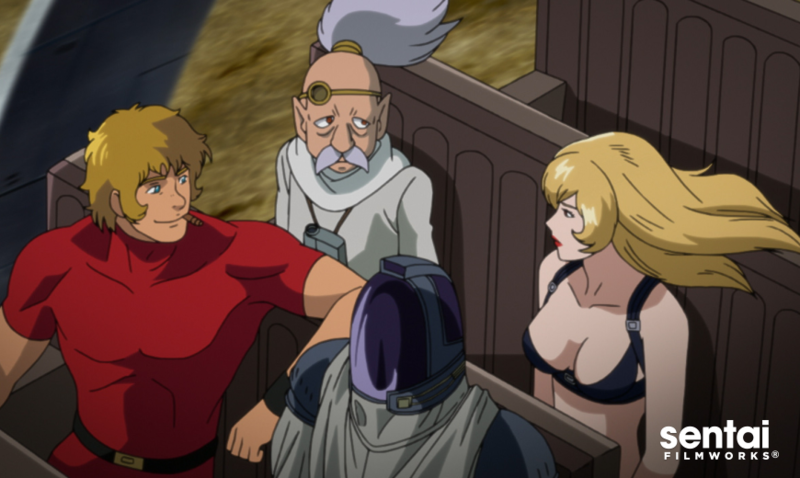 HOUSTON, April 7, 2016 – Sentai Filmworks is proud to announce its latest acquisition, the space opera Cobra the Animation, as well the series’ two OVAs Cobra the Animation: Time Drive and Cobra the Animation: The Psychogun. Based on the best-selling 1978 manga by Buichi Terasawa, Cobra the Animation follows the adventures of a young man who abandons a life of adventure and danger by surgically altering his face and erasing his own memories. Assuming his new identity as an office worker named Johnson, the young man’s “normal” life is shattered when he is once again threatened by old enemies who are out for his life. Keizo Shimizu (Shinshaku Sengoku Eiyū Densetsu - Sanada Jū Yūshi The Animation) directed the series and contributed to character designs alongside Akio Sugino, Ippei Masui, and Keiko Yamamoto. Series composition was helmed by Kazumi Koide (Wonder Beast Scramble, Dragoon OAV), and animation production was handled by Magic Bus. Cobra the Animation will be available through select digital outlets, with a home video release to follow.